Despite Merrill giving some love to the General last week, it doesn't looks like the analysts over at Deutsche Bank are ready to believe the "turnaround narrative" yet — they're betting the sorta-profitable automaker is worth more as cash than stock. They've gone and downgraded GM's stock from 'neutral' to 'sell' — 'cause that anemic stock price is apparently not as low as it's gonna go. Breaking! 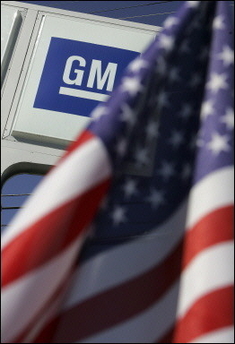 Merrill&apos;s Bullish On GM!